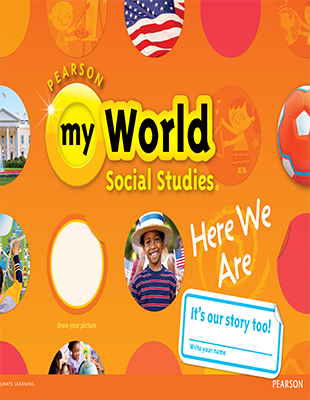 The myWorld Social Studies™ program uses an Interactive Student Worktext approach to promote active learning and supports students who are learning to read. This engaging researched-based format was designed to help encourage students to interact with the textbook like never before. Students will love writing, drawing, circling and underlining content in their own Worktexts. Students will connect to social studies content through key literacy skills that will ultimately lead to long term retention of skills and concepts. The Primary Atlas introduces young learners to atlases with colorful, easy to understand maps, geography terms, and a picture glossary of map parts. The Student Atlas gives students access to physical and political maps of the United States and the world, thematic maps, fact-filled tables, and almanacs with individual state pages. This in-hand lesson road map helps you prep and guides your instruction. Engage students with this enlarged student worktext for classroom presentation. 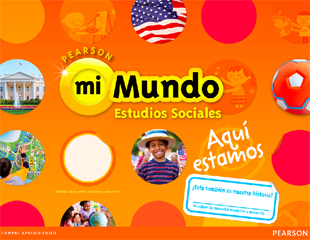 It provides teachers with full, interactive lessons. Reproducible student worktext pages are for independent, small group, or whole class instruction. Innovative, hands-on activities for each chapter were designed by Colonial Williamsburg and can be used as a way to assess students’ understanding of content. Includes Activity Cards, teacher instructions, student instructions, and Rubric and Student Recording Sheet. Developed by Dr. Jim Cummins, a leading expert on best practices for ELL students, this guide ensures that all teachers have strategies for, and can understand the expectations, of students at various proficiency levels. One intriguing biography is offered per chapter at three reading levels for below, on-level, and advanced readers. All biographies tie directly to chapter topics. 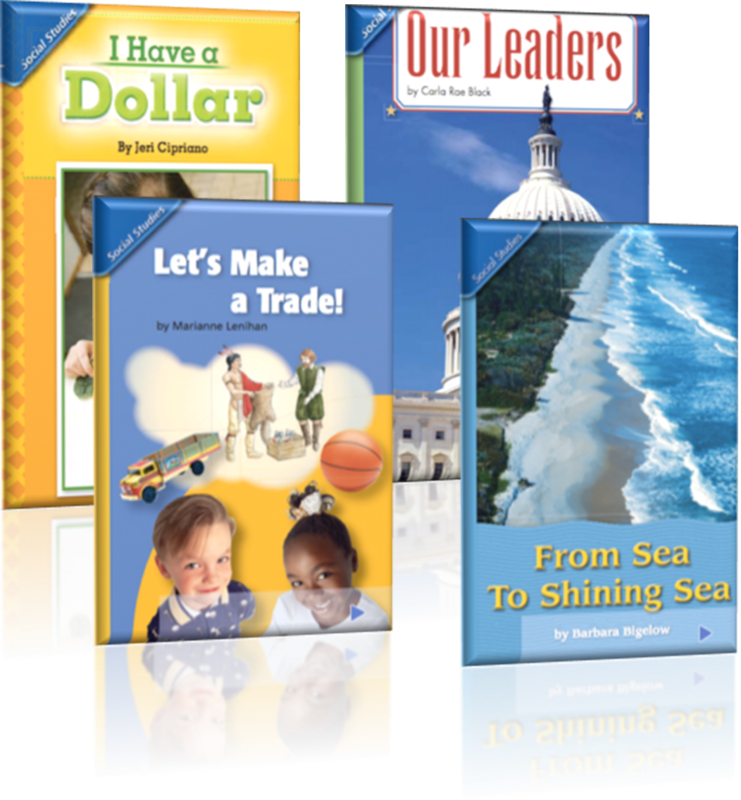 Additional reading support is offered through our content reader bundles at each grade level. Bundles include topical readers aligned directly to the student worktext chapter topics and target reading skills, allowing you to effectively integrate social studies into your reading lessons. The digital version of the Student Edition with page-by-page audio ensures that students have what they need to learn, study, and succeed in class. Save time with ready-made Chapter Tests and Lesson Quizzes or create customized Test Prep and Benchmark Tests. 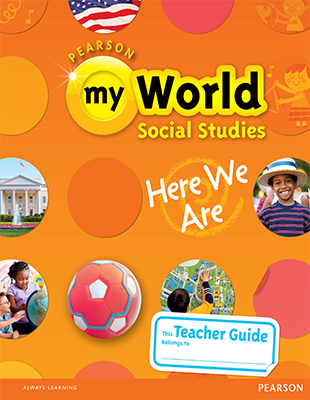 This is your one-stop resource for the myWorld Social Studies™ Teacher’s Guide, lesson plans, teaching resources, copymasters, and highstakes assessment support. Hook your students with engaging videos that explore the Big Question. Videos include real students talking about the Big Question or visiting historical sites. Interactive digital courseware individualizes learning for each student.